If you’re new to the industry, running a café can be a daunting task. Experience managing a café will be a big advantage, but it will still be a different experience when the buck stops with you! In the UK, there are a wide range of cafés from the traditional greasy spoon to the trendy European style café. You will have to choose the business that suits you and your target audience if you want to keep customers coming back. You will probably have a lot of ideas for how you want things to go but here are some tips to keep in mind. Following these guidelines should help you streamline how you do things! The most important part of your business is, undoubtedly, your customers. No matter how much you love your décor or your menu, if your customers don’t feel the same way you won’t make any money. Make your customers a factor in all of your decisions. Define who they are and what it is that they want from a café? 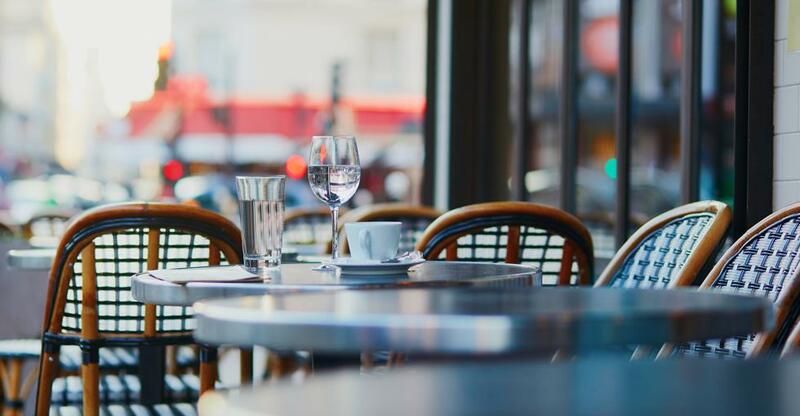 The location of your café will determine who it is that you are appealing to. Are you in a trendy neighbourhood where an in-depth knowledge of coffee is imperative? Or, are most of your customers looking for a cup of tea and a full English? Research other businesses in the area to spot what works and what doesn’t. You can then also engage with customers to find out what they like and what they would like to see change. If you have done your research and clearly defined who it is that you are marketing to, what you put on your menu should reflect that. There are a lot of café’s in cities and towns that have easy ‘to-go’ menus so that they can appeal to the working crowds on their lunch hours. Efficiency is something that a lot of people look for in their regular café spot. Putting items on your menu that you can serve without making customers wait can prove to be a good idea. Plant-based and ethically sourced goods are also growing in popularity and so you should think about including these into your menu. On the other hand, there are still many people in the UK who are after cheap, traditional ‘caff’ fair. If this describes your customers, you need to keep things simple with a full English, sandwich or bacon butty. Having your café in an area with a high footfall is a real advantage to creating awareness for your business. If this is the case, focus on your signage outside. Make sure you keep daily specials up to date and give new customers walking by reason to come in. Consider what would draw in the kind of customer that is in the area and would be walking past your business. You should also be trying to bring in people that wouldn’t necessarily be walking past your business. Make sure that your business appears on review sites like Zomato and TripAdvisor. You should also create a good social media presence for your business. Encourage customers to tag your business if they post their visit on their social media accounts. Try to find your business’ hook. What is it about your café that is different to your competition? Use this to market your business and give people a reason to come to you over a different restaurant, coffee shop or café. Keep these things in mind when you are looking for the right café to buy. If you have done your research beforehand, you’ll be running a successful café in no time!